A film featuring the members of the The Children’s Home in Uummannaq, an orphanage run by Club Fellow Ann Andreasen. From 1973 to 1976 the Greenlandic rock band Sumé released three albums and changed the history of Greenland. The group’s political songs were the first to be recorded in the Greenlandic language – a language that prior to Sumé didn’t have words for “revolution” or “oppression”. After 250 years of Danish colonization, Sumé set in motion a revival of Greenlandic culture and identity, and paved the way for a Greenlandic home rule government. Robert Flaherty’s Nanook of the North (USA, 1922) has been labelled the first “documentary,” though most film scholars agree that the film is deeply problematic in its depiction of Canadian Inuit cultures. A number of subsequent documentaries from various traditions have grappled with Nanook’s legacy, reinterpreting the film in ways that engage and contemporary audiences and counteracting the ethnographic and anachronistic foundation at the heart of the Flaherty original. This special program addresses these issues through films that re-imagine and re-work Nanook, through the uses of found footage filmmaking, biographical documentaries, ethnographic self-awareness, and humor. A Q&A and concluding remarks with Scott and Anna will round out the session. This documentary takes you on a breathtaking journey through space. By using pedagogic top-quality animations and spectacular solar imagery from NASA satellites it tells the full story of the northern lights from myth to science. The film is packed with interesting historical anecdotes, includes tips about how to take your own stunning aurora photos, and features some of the world’s best photography and time lapse sequences of the northern lights. SolarMax also contains brand new – never before seen – graphics and animations specially made for this documentary. A Q&A with Dr. Pål Brekke will follow the screening. Inspired by the words of Greenlandic artist Miki Jacobsen, In the Middle of Everything is film about the moments that seem stick in your heart forever, or rush you by in a whirlwind. In the north, the epic landscapes can make you feel like a small and insignificant part of the picture. But the deeper you look in the universe, the existence of all things, no matter their size or function, is of equal value to it’s composition. As Miki put it, it exists in the perfectly intricate and unexplainably beautiful reality, “in the middle of everything.” This film was captured during the Students On Ice 2016 Arctic Expedition to Nunavut, Labrador and Greenland. Filmmaker Reuben Hernandez instantly draws you into his over two month long journey south to Antarctica by stimulating your senses with one second a day. See, hear, and nearly touch the people, the wildlife, and the wilderness. A Q&A with Hernandez will follow the screening. Myna Ishulutak’s oldest son Danny wondered before: “Why do some people think it has been a long time since the Inuit have lived in a traditional way?” Some people think that way, but to Myna traditions are what helped her grow-up and spiritually survive on the land. In one short film she wanted to tell her sons: “Una Uvanga (This is who I am).” She wanted to tell them what happened during her childhood on the land, how her family relocated to Pangnirtung, how important her culture was and still is in her adult life. Telling them her life story recreates their shared History. The film aims to convey that, in today’s Nunavut, we are responsible for the changes. We are being part of it rather than being subjected to it. Aleksandr Rikhterman is a young video producer from Ukraine intent on showing the adventure that is life when one pushes themselves completely out of their comfort zone in an attempt to understand the world around them. He is a 2015 Television Academy Foundation College Television Award 1st place Emmy winner in the unscripted/ reality series category for his web series – “A Solo-Traveler’s Guide To: The World.” Since then his adventures included driving two thousand miles across Vietnam on motorbikes to film a short documentary, traveling to Trinidad & Tobago to shoot/edit an episode of KICK TV’s Football Vagabond, and produced a short documentary on what it means to experience the Arctic from his time there as part of Adventure Canada’s Young Explorer program. Trevor Wallace is an explorer, artist, and filmmaker. Originally from California, he travelled to all seven continents before the age of 21 pursuing projects on indigenous identity and the environment. He specializes in collaborating with remote communities and documenting expeditions in harsh environments. In his YouTube channel World Wide Wallace, he chronicles the creation of his projects most recently elephant tracking in Kenya, a 75 mile adventure race he participated in, and an archeology expedition to the borderlands of Western China. 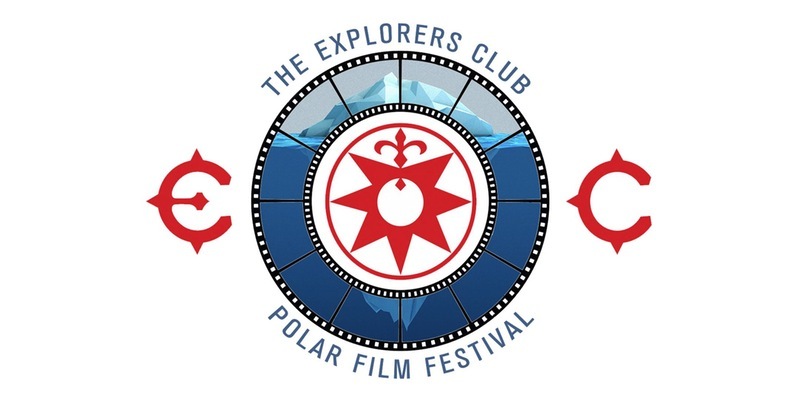 His film Passing the Flame was created with the support of the Young Explorers Program and Adventure Canada. Nicole Collier is a Science Instructor at Marlborough School in Los Angeles. After graduating from Smith College with a degree in Geosciences, she worked seasonally with the National Park Service and NOAA in Alaska, Colorado, and Washington. Her primary research interests include alpine hydrology, aqueous geochemistry, and cryosphere-climate interactions. In her free time she enjoys long walks in the alpine, copious amounts of tea, powder days, and sleeping under the stars. She is passionate about continuing to pursue field science as an educator, and hopes to show her students that reaching the ends of the Earth, especially as a woman in science, is tangible. Q&A’s with the filmmakers will follow the screenings. When Kit DesLauriers successfully skied from the summit of 29,035 ft Mt. Everest on October 18th, 2006, she became the first person to ski from the summit of the highest peak on each continent, a.k.a. the Seven Summits. She has the distinction of being the first person to make a ski descent of the Polish Glacier on Aconcagua and the first female to make a complete ski descent of Vinson Massif in Antarctica. The film highlights the skiing exploits of this unassuming resident of Teton Village, Wyoming, including winning the Women’s 2004 and 2005 United States Freeskiing World Tour Title and 2005 U. S. Freeskiing Nationals. The community of Nain in northern Labrador is rich with breathtaking landscapes and people with a strong storytelling history. Created through the St. John’s International Women’s Film Festival’s FRAMED film educations series, in partnership with the Nunatsiavut Government, this film explores throat singing- a special talent and traditional game for both fun and public entertainment, which was nearly destroyed but has since been revived. The arctic is a surprisingly rich, dynamic environment where humans have lived for thousands of years. Join researchers for the Arctic Coastal Ecosystem Survey who are studying fish and other small marine creatures, which are essential to the lives of important and widely known animals like beluga whales and seals. Coordinating their work with the Inupiaq people of Alaska’s North Slope, researchers hope to better understand an environment that is extremely vulnerable in this time of rapid change. A Q&A with Liz McKenzie will follow the screening. North in Focus (NIF) is a non-profit organization that promotes mental wellness, reduces the stigma that surrounds mental health, and empowers individuals to reach out for support. Suicide is one of the leading causes of death for youth in Canada, with rates up to 40 times higher for some Northern populations compared to their Southern counterparts. Into the Cold retraces two men’s dramatic expedition to the North Pole, one of the toughest and most magnificent environments in the world, and also one that is rapidly vanishing. The film follows noted environmental advocate, photographer and polar traveler Sebastian Copeland through his training in Minnesota and Los Angeles before embarking on the two months trip on the frozen ice cap with his partner Keith Heger. Covering two months, 400+ miles, and -50F temperatures, the work reveals a deeply personal journey by foot to the top of the world as never before seen on camera. * Please note: Lunch on Saturday is a standalone ticket, and lunch will not be provided unless purchased in advance. The Club is located close to other cuisine options on the Upper East Side, but the only food provided on-site will be for those who purchase in advance.